The chief of staff hails the drills as successful. 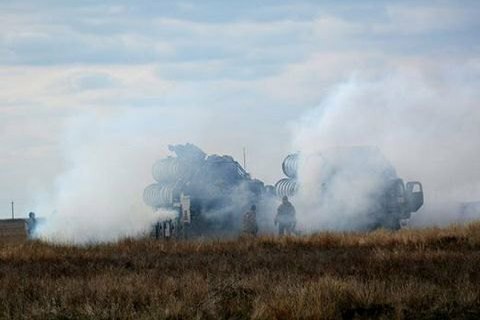 The control flight tests of surface-to-air missiles are completed, the chief of Ukraine's General Staff Viktor Muzhenko wrote 2 December on Facebook. "The Armed Forces have made a huge step toward increasing their combat capability and enhancing the capacity to protect our state. The air borders of Ukraine are inviolable!" Muzhenko wrote. On 1 December, the antiaircraft missile units of Ukraine's Air Force carried out successful launches of 16 guided anti-aircraft medium-range missiles. The exercises were planned to continue on Friday but were suspended in view of deteriorated weather conditions. The exercises have stirred outrage in the Russian Federation as it was feared that the missiles could hit its territory.